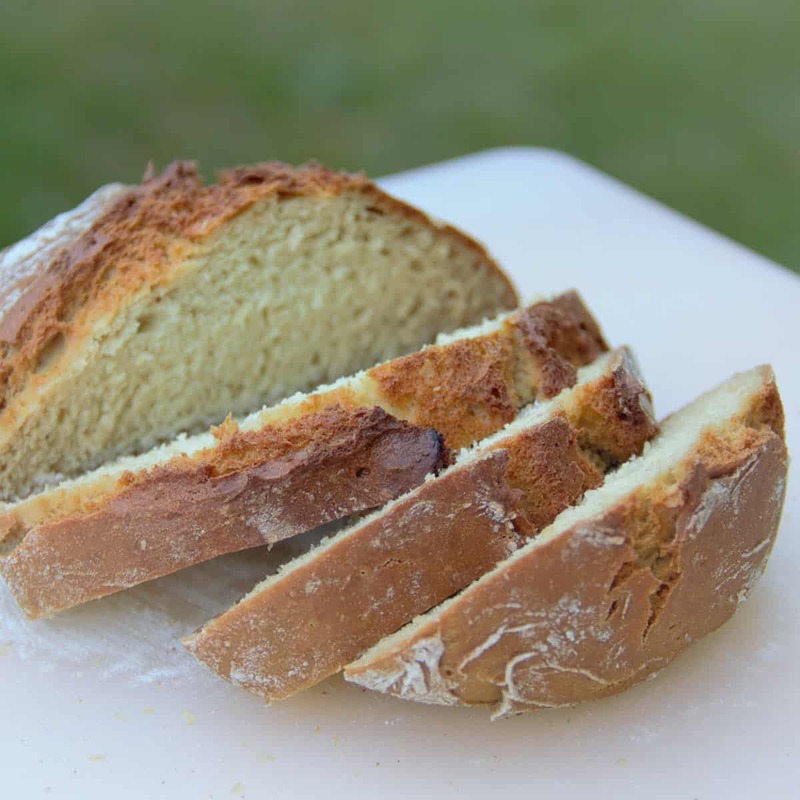 Soda bread is a quick bread and very popular in historic and modern outdoor cooking. 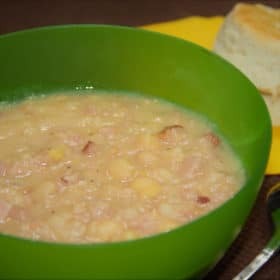 This version is based on the basic traditional Irish recipe, there are considered to be variations across other countries like Scotland and Serbia, however these variations lead to a whole new naming of the resultant bread, so probably more like a relative that happens to use soda as the rising agent also. At a science level, this bread uses the reaction between the soda and lactic acid in the buttermilk to create the bubbles and lightness in the bread. This is a small family batch cooked in an eight inch Dutch oven, but can be doubled if required. Combine the flour, baking soda and salt together. Add the buttermilk and combine well, transfer to a clean surface and work gently to get a smooth dough. 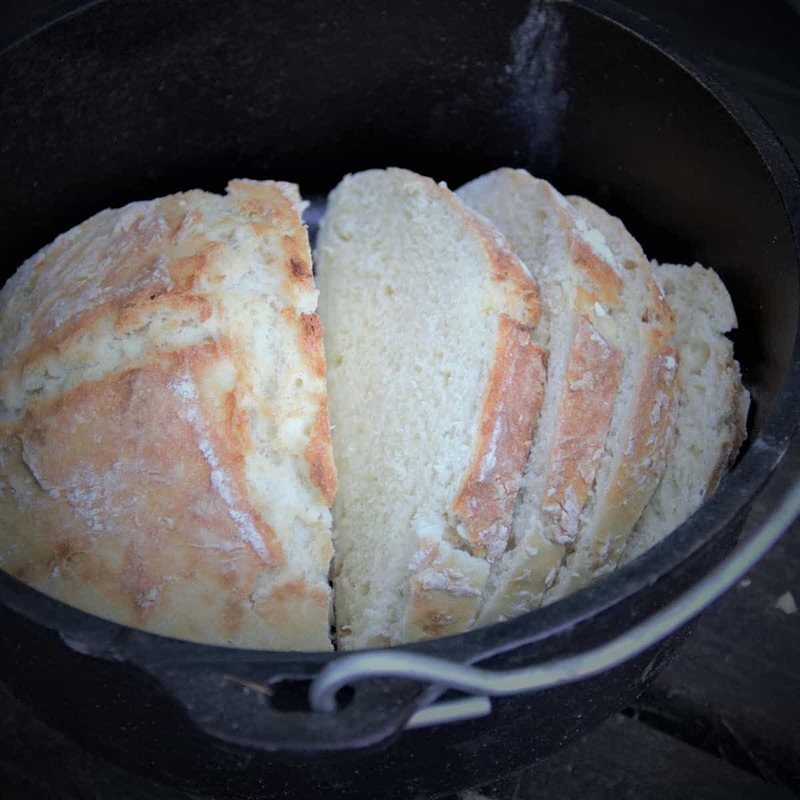 Place the dough ball in the Dutch oven, using a floured knife place a cross in the top of the loaf. 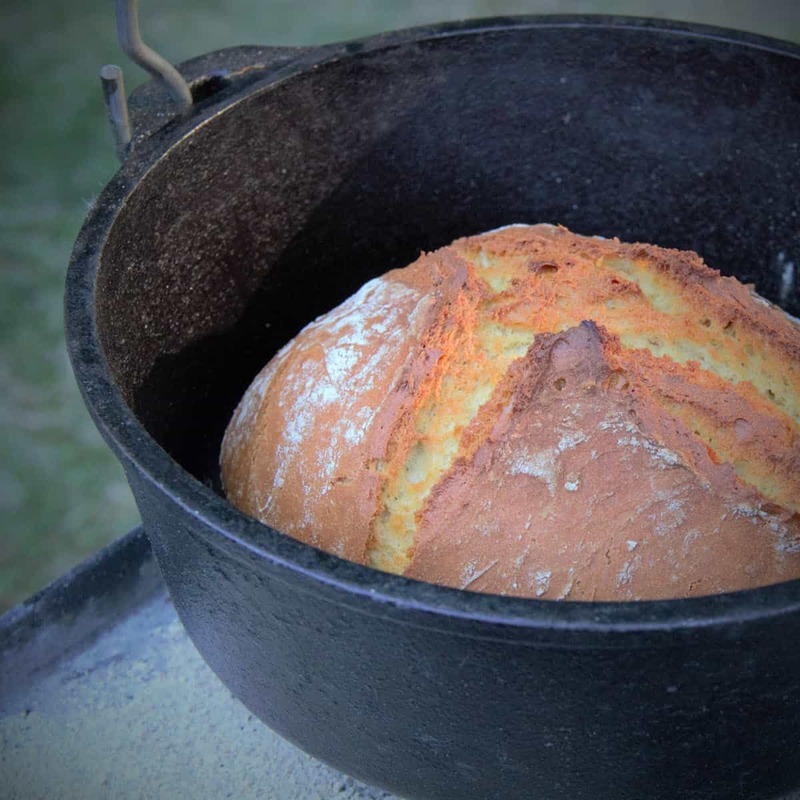 Set the Dutch oven to about 220 degrees C (425 degrees F) and cook for 20 to 30 minutes or until browned and cooked throughout. Serve warm with butter.